Sankapala Raja Maha Viharaya is situated near Pallebedda to the north of Embilipitiya, near the Ratnapura-Hambantota main road (A18). According to folk believes, Sankapala was the residence of Pussa Deva, one of the warriors of King Dutthagamani, who after the war received enlightenment as a monk. 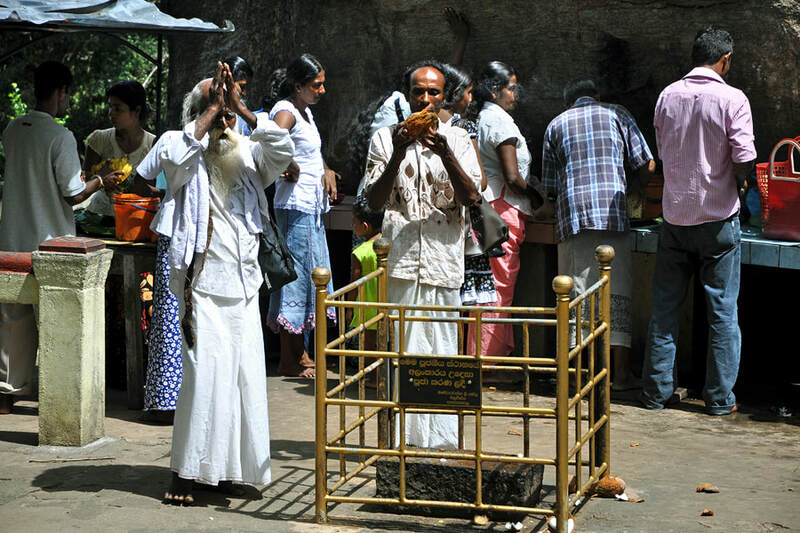 This means, Sankapala is considered to have been the abode of an Arahat. The cave temple was restored during the Kandyan period. Most decorations are from the 20th century. Interestingly, places of worship for Hindu deities are integrated in the mainly Buddhist complex, which is nicely located on diverse levels at the slope of a hill.